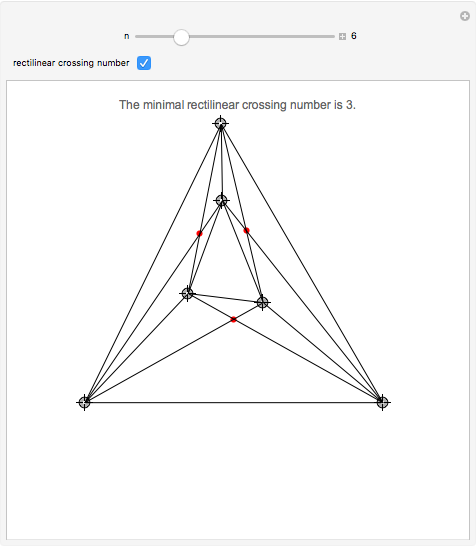 A rectilinear crossing number is the minimal crossing of the edges of a complete graph using straight lines. 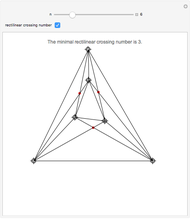 It differs from the general crossing number for and . 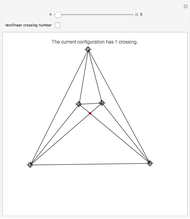 The Rectilinear Crossing Project compiles the latest results for this problem. 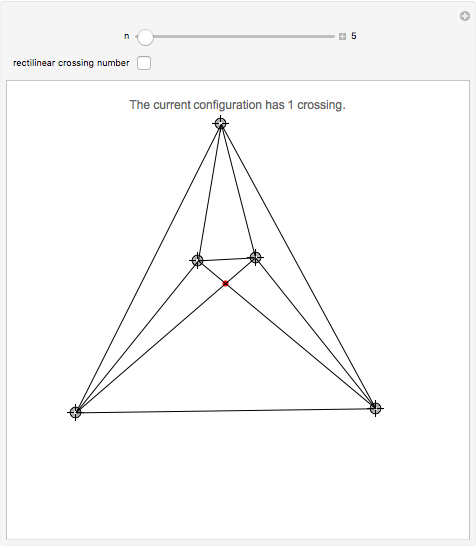 This Demonstration allows you to move the points so that the minimal crossing number can be achieved. 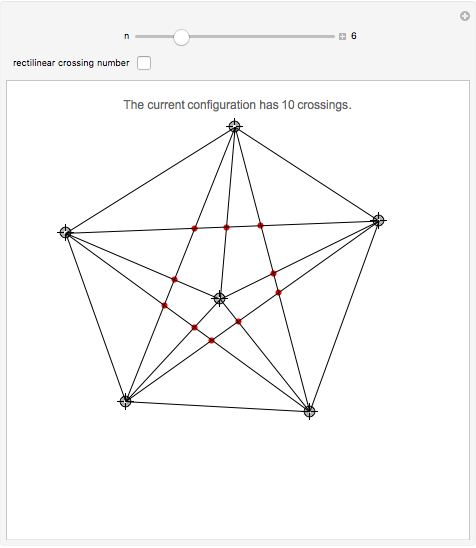 The caption indicates the number of crossings for the graph shown. You can verify that your configuration matches with the best known value by clicking on the box. 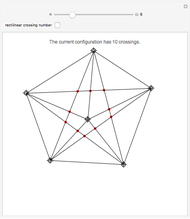 Theodore S. Erickson "Minimal Crossings for Complete Graphs"